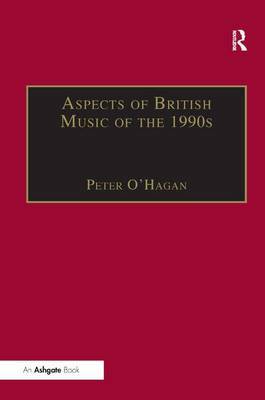 The 1990s work of six British composers forms the focus of this collection of essays, arising from a conference that took place at University of Surrey Roehampton in February 1999. The composers whose music is discussed are James Dillon, Thomas Ades, Harrison Birtwistle, Jonathan Harvey, Edwin Roxburgh and Sebastian Forbes. Reflecting the aims of the conference, this volume brings together composers and musicologists to discuss significant works from the last decade of the twentieth century, and also some of the wider issues surrounding British music. Arnold Whittall and Julian Johnson provide perspectives on the plurality of contemporary British music. Edwin Roxburgh offers a personal account of 'The Artists' Dilemma', whilst the essays that follow explore aspects of musical form and structure in a variety of works. The second half of the book comprises interviews with most of the composers whose music is discussed in Part I, adding a further dimension to our understanding of the preoccupations of British composition at the end of the twentieth century.